The Directors Forum is our annual event for Senior Managers of Ecsite Full members. The programme combines high level speeches & workshops and relaxed networking among science engagement leaders. 70 participants will be gathering in Barcelona on 14-16 November for the 2018 edition, hosted by The Natural Sciences Museum of Barcelona together with Barcelona Ciència. Two keynote speakers will be sharing their thoughts on the "Science engagement organisations as Citizen labs" theme: Artur Serra, European expert in living labs and citizen laboratories and Lucia Malfent, active for an Austrian organisation advancing open innovation principles in science. 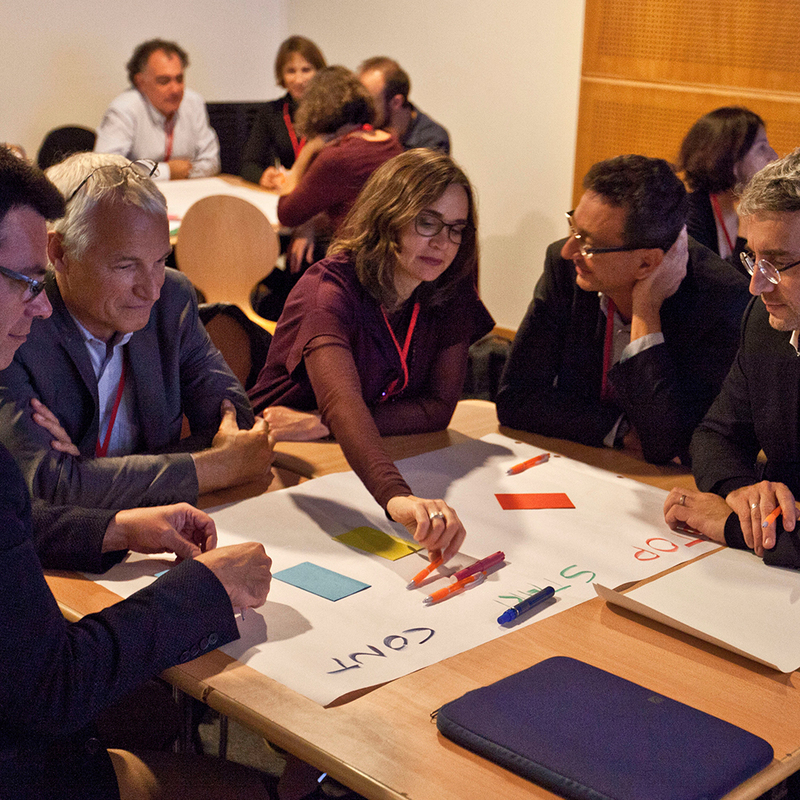 The programme also entails a marketplace workshop on open science labs and their potential for science engagement and an opportunity to exchange with the Ecsite Board in an 'un-conference' format. Social highlights include dinner at the Natural Science Museum on the first night, a cycling field trip to two nearby Barcelona citizen labs on the second day and countless networking opportunities. For those extending their stay, special visits are offered to CosmoCaixa and Museum's Botanical Garden. Interested in the theme? Discover this timely Spokes article by keynote speaker Artur Serra. Commissioned by the Editorial Committee as an introduction to the Directors Forum, the article starts from a concrete citizen lab example in Catalonia, straightens out a few definitions, discusses the emergence of a fourth helix in the research & innovation system, and suggests a model to make Europe's "Open innovation, open science, open to the world" vision happen. What role can science engagement organisations play in this new universal innovation system? This is precisely what you'll be able to discuss with Artur Serra at the event. Check out all details on the dedicated page. The Natural Sciences Museum of Barcelona, together with Barcelona Ciència, hosted the 2018 Ecsite Directors Forum on 14-16 November 2018. 68 Senior Managers of Ecsite Full member organisations got together for 2.5 days of networking, high-profile talks and workshops and peer learning.